An open house for the Open Space Program at St. George's Church on Grand Street in Newburgh, NY, was held on Thursday, September 22, 2011. The program runs Thursday afternoon from 3:30-5:30 P.M. October thru May. 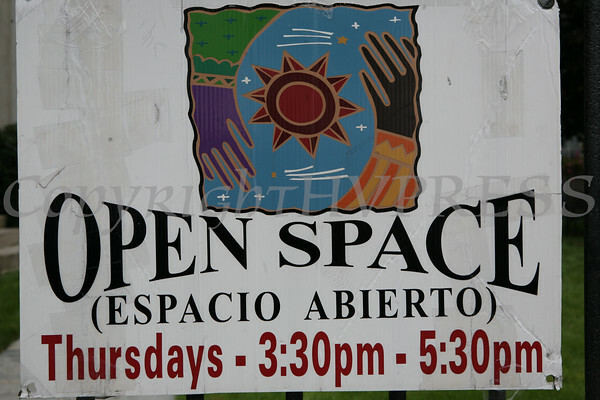 The Open Space Program at St. George's Church on Grand Street in Newburgh, NY was the place for teen parents Thursday, September 22, 2011, looking for a fun art & literacy program for their children. The program runs Thursday afternoon from 3:30-5:30 P.M. October thru May. Hudson Valley Press/CHUCK STEWART, JR.